The German brand Porsche AG has built itself a reputation for producing top notch, high performance sports cars, supercars and hyper-cars. Recently, it has forayed into the realm of sedans and SUVs (sports utility vehicles), and the Porsche Cayenne – which began production in 2002- is a prime example of its efforts in the latter. The Porsche Cayenne S is a beautiful and sturdy mid-sized crossover sports utility vehicle, meaning that it combines features of a sedan or hatchback with those of the larger SUV body type. The Porsche Cayenne S thus gives you the best of both worlds, and the Porsche name guarantees you unbeatable efficiency that will leave you wanting more than just one ride. Crafted to Impress: The Cayenne S shares its platform with the Volkswagen Touareg, and is the first Porsche vehicle to have a V8 engine since the Porsche 928 was discontinued in 1995. 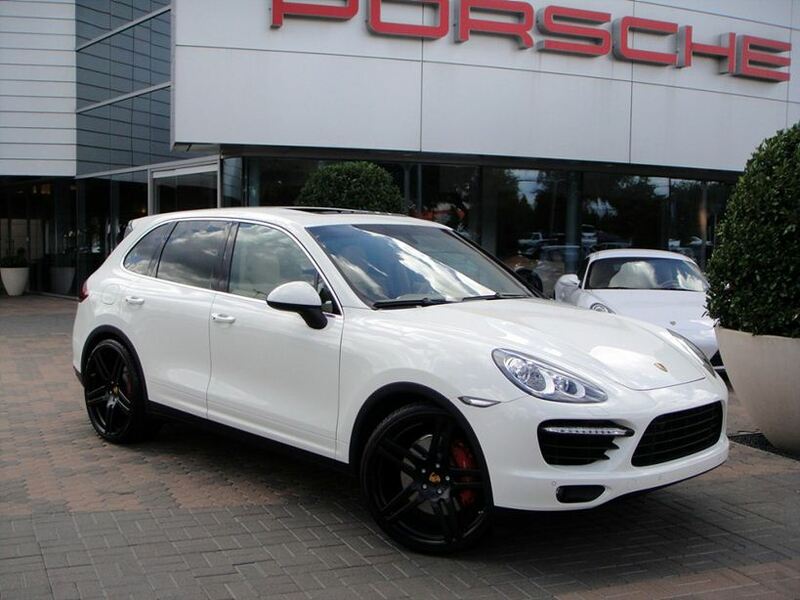 Despite the mixed expectations at the time of its introduction to the market, the Cayenne S proved otherwise and established itself as a dependable and extremely smooth performing SUV with highly efficient handling and a powerful engine compared to other SUVs. With a wheelbase of 2895mm, overall length of 4855mm, height of 1705mm and width of 1939mm, the Porsche Cayenne S is a big car. Nuts and Bolts for the Gearhead: This car is powered by a six-cylinder front engine that is coupled with a dry sump lubrication system with variable valve timing. It is capable of producing 309 kW of power (approximately 420 horsepower) at six thousand rpm, and gives up to 500Nm of torque at 1350-4500 rpm. The combined fuel consumption rating is 9.5-9.8L per 100 km; for urban use it is around 13L per 100km, and for highways it is around 8L per 100km. The diesel variant has an eight-cylinder engine with an 385 hp output at 3750 rpm and up to 850 Nm of torque at 2000-2570 rpm. Fuel consumption is lower, rated as 10L for urban and 7L for highway. The top speed for the petrol variant is 259kmph, while the diesel Cayenne S clocks in at 252kmph. Both have an eight-speed automatic transmission. Why Rent the Cayenne S? : Able to carry almost six hundred kilograms of load (including passengers), the Cayenne is a great choice for a trip away with family and friends. The car has five spacious seats upholstered in leather for a classy finish and unmatched comfort. Rental Malaysia Pros: Any Porsche comes with a hefty price tag, and the Cayenne S is no exception. At HyperLuxuryCar, we provide the Porsche Cayenne S for rental and this allows you to experience a one of a kind vehicle for the duration of your rental without having to pay a huge amount and buy it for temporary use. By renting this car, you can drive around the country in comfort and luxury. Slip in to the driver’s seat of this gorgeous hunk of a car and experience a Porsche to its fullest – you can only get it from us. Call us now or use our booking form now!